Lisbon- George J Saucier, 72, of Lisbon, died on December 22, 2017 at his home; in the care of his wife Anita, daughter Jody and Androscoggin Hospice. 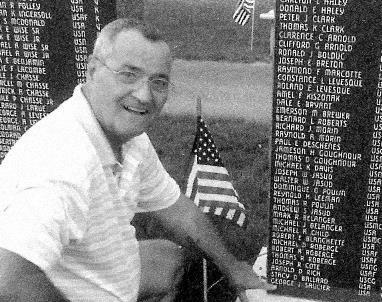 George was born May 28, 1945 to his parents James J. and Verna (Voisine) Saucier in Lewiston ME; after attending Lewiston schools he eagerly joined the Army in 1963, proudly serving for two years in the Vietnam War. George loved his family dearly and was an amazing father and husband; evidence of this are his children who will miss him dearly. If he was not tending to his family you would find him in his work shop, year round no matter the weather. He was an amazing craftsman making unique and wonderful pieces of art for family and friends that were as beautiful as they were useful. George is predeceased by his parents and four of his siblings; he leaves behind his loving wife Anita and his remaining siblings: Donald and wife Sheila Saucier, Martin and wife Carlene Saucier, Nelson Saucier, Richard Saucier and Mildred (Saucier) Cyr and her partner Jack Downey. He also leaves his beloved children; George Jr., Rachel, Julie, Tom, Paul, Jody and Gene. His grandchildren; Ravyn, Renee, David, Jenni, Cody, Michael, Jamie, Mathew, Misty, Mark Jr., Ariel, Ecko, Summer, Gene Jr. and his two great-grandsons.